I wish to change my credit card information for my partnership deductions. How do I go about doing it? 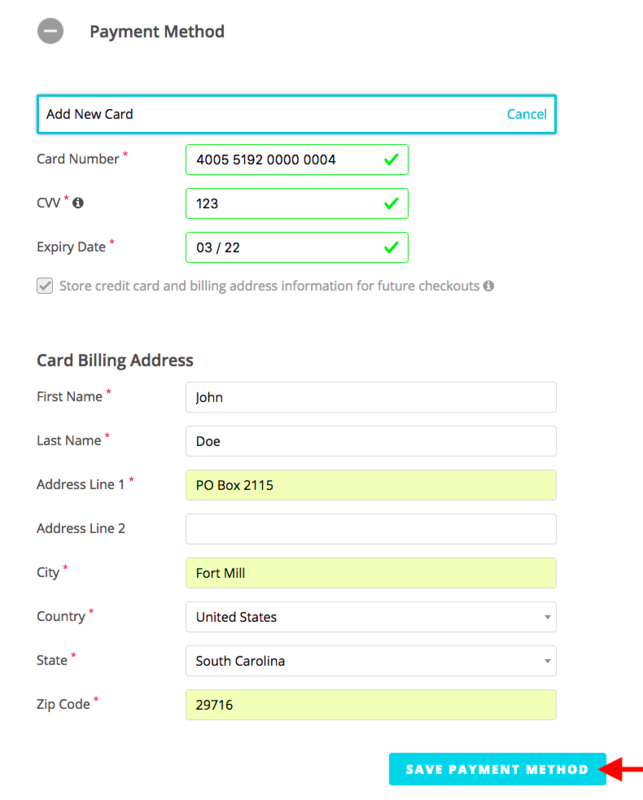 We currently do not allow users to edit the card details for an existing payment method. The best way to do so would be to add a new card to your partnership and remove the old one. To begin, go to your dashboard by logging into your account here . 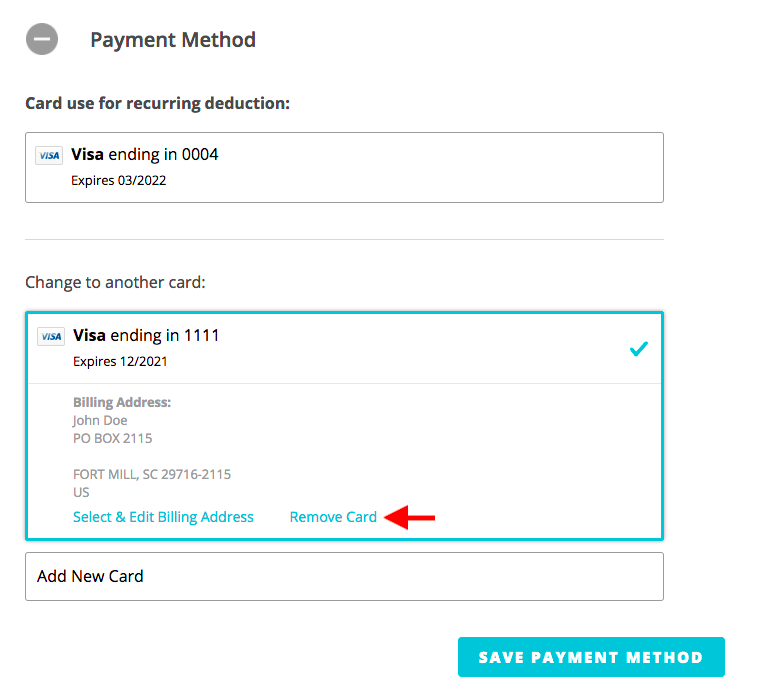 Upon entering new card information, click Save Payment Method. 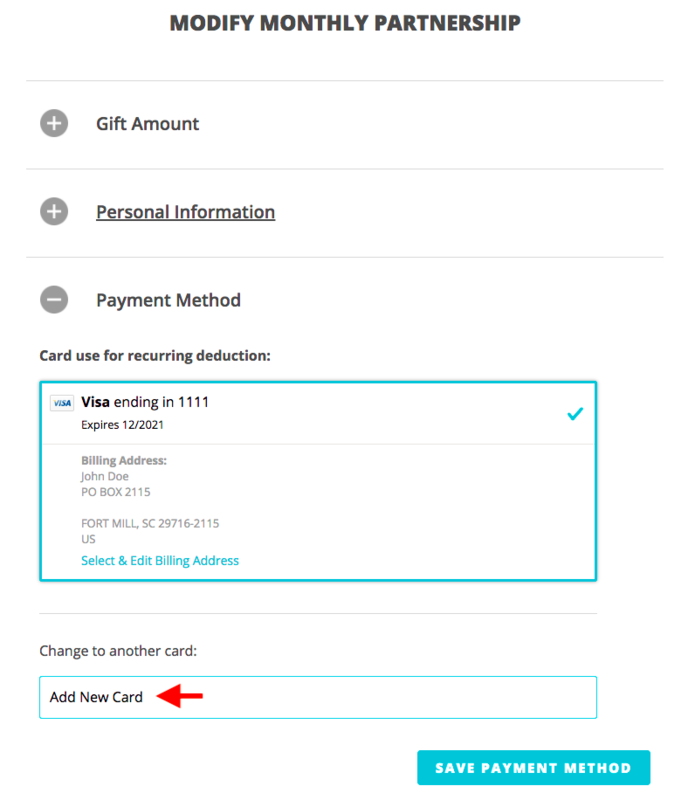 Remove your old card by selecting it and clicking Remove Card.